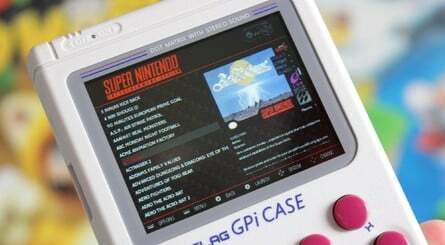 The art of retro gaming emulation is still frowned upon by many, but there's no denying that the growing number of players who forgo original hardware for the convenience of all-in-one solutions, such as the Raspberry Pi system. 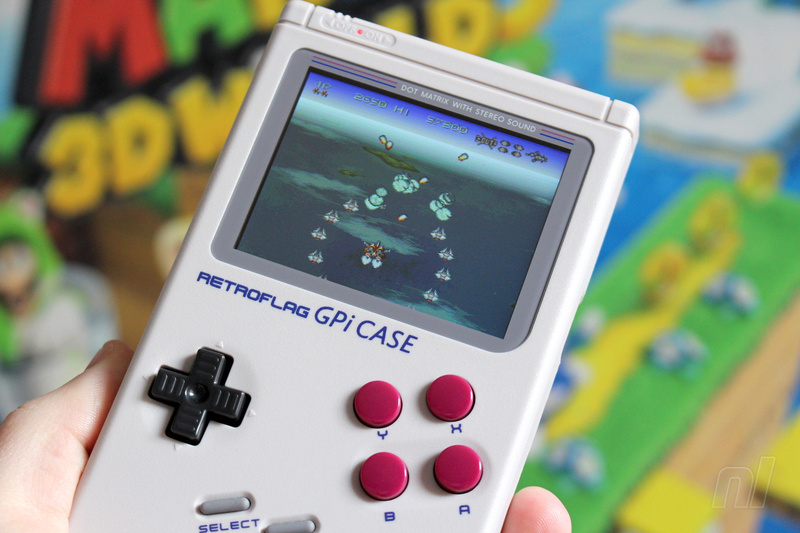 This pocket-sized computer can be loaded up with emulators and naughty-style ROMs to give you an instant vintage gaming collection – and it should come as no surprise to learn that many companies now produce plastic shells for the Pi which ape the look of legendary gaming systems. 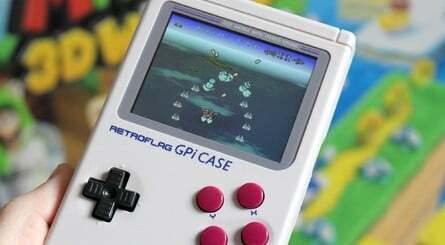 We've already seen Pi cases shaped like NES, SNES and Mega Drive console, but this latest effort from Retroflag is the best yet. 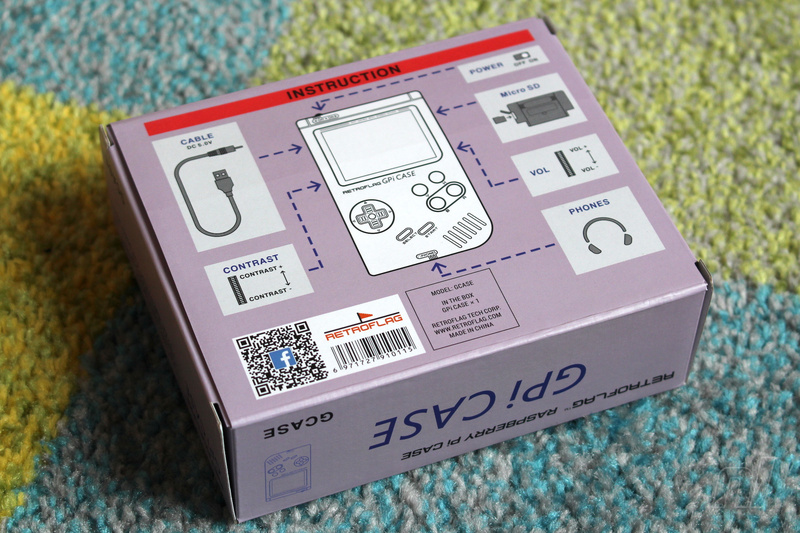 It allows you to place your Raspberry Pi Zero (or Zero W) inside an authentic-looking replica of the Game Boy, complete with a colour screen. 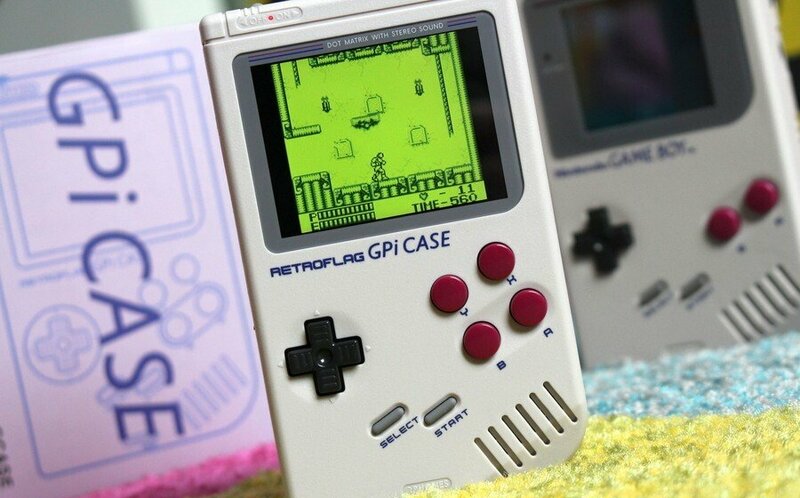 Nintendo's famous handheld turns 30 this week, so the timing is perfect. 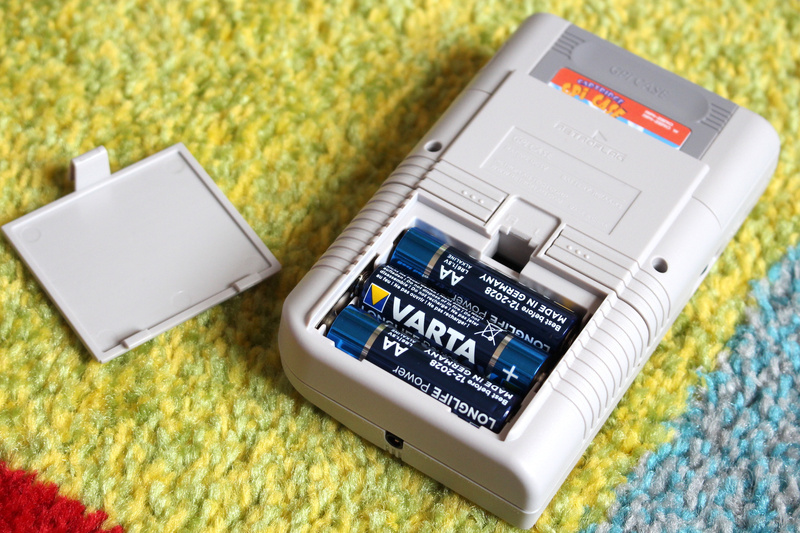 The shell – which is sold without the Pi Zero inside – is powered by three AA batteries. Some assembly is required, of course (the Pi Zero fits inside a 'cart' that slots into the top of the unit) – but once it's all put together, it's a surprisingly close match for the real thing. The plastic looks identical, and the D-Pad and buttons also work brilliantly. 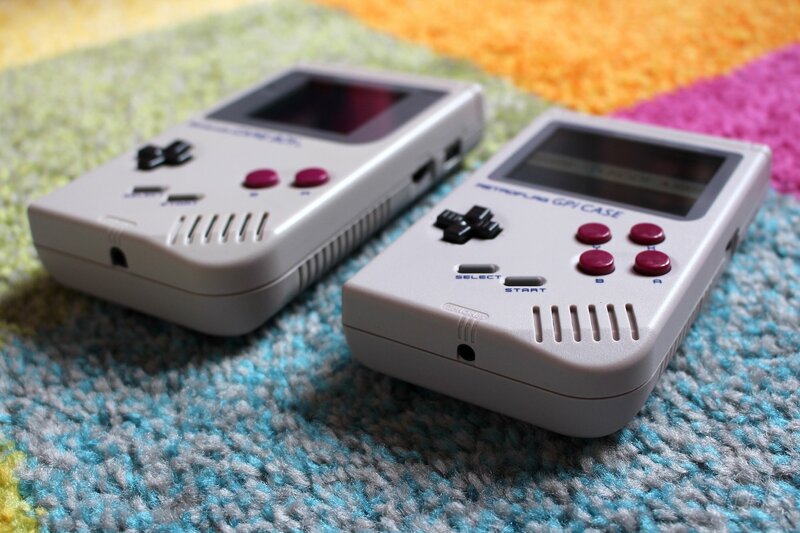 It's ever so slightly smaller than the original Game Boy, and there are four face buttons instead of two (you also have two 'shoulder' buttons on the back) but it's amazing how close this is to the handheld we know and love. There's no word on when this will be available (a unit literally arrived on our doorstep this morning without warning) but we'll update this page as and when we know. That cartridge? What does it do? OMG, I didn’t knew I needed this so much. 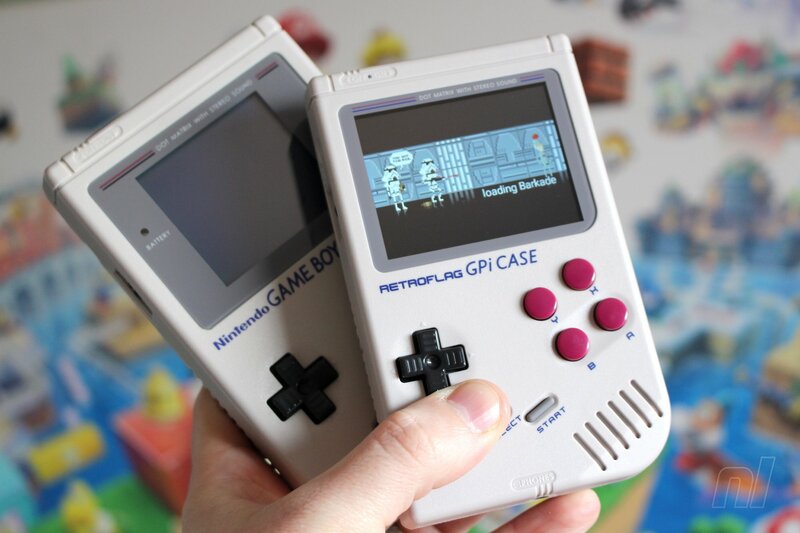 I really wish we'd see some cases built around the full size pi. I get that it would need to be stripped down, probably removing the header pines/some of the ports, but it would be a much more capable machine. The Pi 0 is just too weak to be a capable emulation device in my opinion. 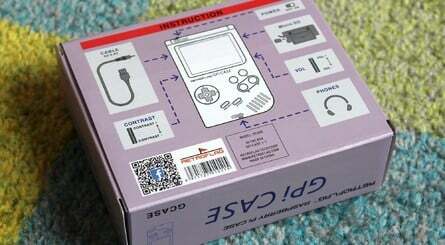 I'd also prefer to see a GBA influenced layout, to allow for shoulder buttons. 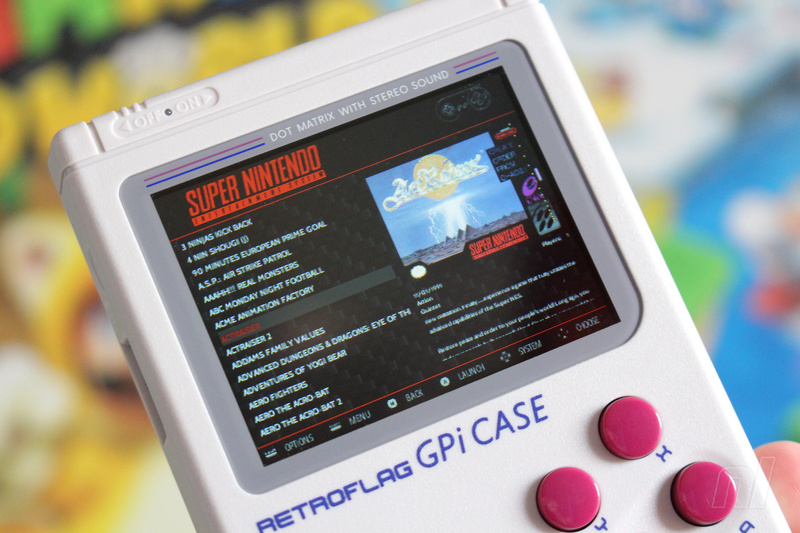 EDIT: And for those unaware, Ed Mandy does have the Freeplay CM3 (freeplaytech.com), which is basically just Pi on a custom PCB for the GBA housing, but it is quite expensive. I find these devices very interesting and VERY tempting at times, but the fact is, I don't have the means to dump roms off of original cartridges myself and don't like torrenting them off of sketchy Chinese piracy websites. I know I'm in the minority, but I would rather buy games through official means and play them on official hardware that is fine tuned for that very purpose. @Mr_Pepperami Beat me to it. The reason I'll wait is because I want something official. Simple as that. @Heavyarms55 Naw, I honestly wish more people were like you. So often, it's either "You're all criminal scum for emulating" or "Who would pay money for a 30 year old game? ", and rarely in between. I own a Pi and emulate quite often, but I also have quite the legit collection of Virtual Console titles and other classic titles on other platforms (PSX on PS3/Vita for example). It's just refreshing to not see an instant flame war when the subject comes up now. I agree with you too, and with @Heavyarms55. For people owning large collections of retro games, emulation is sometime a nice way to play the games you OWN on the go, or a (sometimes) easier way to get them running on an HD tv set, sometimes even with nice (or awful) upscaling effects. I find very attractive the concept of all-in-one solutions to house all of your games (the ones you own). Sure, playing them on original hardware is always the preferred option, but assembling your own solution and setting it up yourself, sometimes with custom art for menus and sidebars, is an awesome project and a lot of fun (and you'll learn a thing or two as you go along). I want one of these, although a price would of been nice. The article @roadrunner343 says it has shoulder buttons on the back. This is funny I was looking to do a build at the weekend but couldn't find a kit I liked, this looks really good. @CrazyZelda79 I should have said "proper" shoulder buttons. I've seen similar designs in the past, with flush buttons on the back. I'm sure they're fine for certain games, but I can't imagine they would be very comfortable for game that make heavy use of the buttons. @Xaessya To be fair, those sorts of 300+ adverts usually end up being a trap as 300 LJN movie tie-in games are not worth a penny. Laughing Joking Numbnuts, the bane of my existence. Looks way better made than Bitt-boy. I got a Bitt-boy and sent it back. Amateurish device. Poor build quality and numerous small issues. Oh. My. G.O.S.H. This is awesome! I was seriously so ready to tap the buy button if that were included and it was the right price. Going to keep my eyeballs on this and get one when available. I’ll also obviously be buying Nintendo’s version too if and when that comes out. Actually .. I forgot that was even a possible thing until this article. I remember reading they patented the design again some time ago. Oh man I can’t wait for either of these! This would make for a good project to do with my niece... But she's addicted to fortnite and YouTube videos about fortnite. 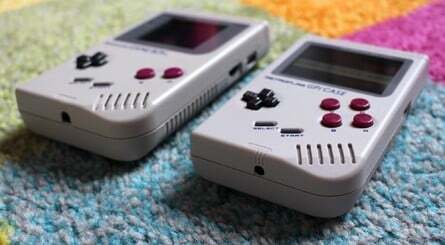 I never owned a Gameboy when I was young, I wish Nintendo would release a Gameboy classic of some sort. Yeah, I too am not super enthusiastic about hitting up sketchy torrent sites for roms. Good thing I did plenty of that in the mid 00's, and saved all the roms! 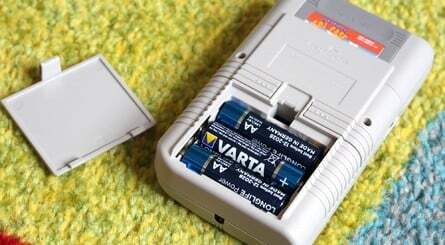 @Realnoize How do you legally get the games off the cartridge onto your emulation box? Few people have the means, most torrent the roms. @Damo Damien, does it come with the screen built in etc. I re-read the article but apologies if I missed the reference. Edit: and I just re-re-read. Sorry got it! I always love your articles mate. For NES games, there are solutions out there for as little as $20 that work ok, although it's not a one-click affair. Process may be tedious, but varies depending on the solution you get. 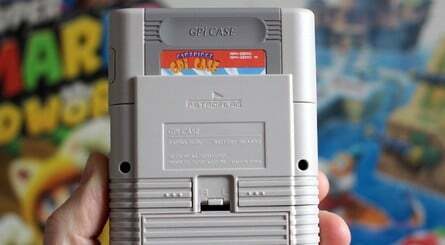 It may become annoying (and expensive) to get rom dumpers for every console you have. And some consoles may not have a dumper easily available. BUT, when it works, it's part of the idea that you'll learn a thing or two while working on these projects. Of course, for disc-based consoles, it's relatively easy (not always though) with standard PC disc-drives and some software. Also, some consoles only need a cable hooked to your PC. But in most cases, it's never as simple as it should be, so be prepared to read a lot and take some time to experiment with software and hardware. Depending on the country you live in, downloading copies of games you already OWN for personnal use MAY be legal. Everyone need to be aware of the regulations in their own countries regarding private copying and personnal use of copyrighted materials. Some countries allow it for content you already own. But most don't. The safest route is always to dump your games yourself, even if that implies some special hardware. Also note that some countries have laws against tampering with software security and anti-piracy measures, so again, getting the information prior to doing this might be wise. @Realnoize Where can you get such hardware? I know it exists but I always assumed it wasn't commercially available and likely very expensive. I wouldn't even know what to search for on Google. What do you even call a device that does this? Don't care for anything pi related.............until this, this is very cool indeed. In general, these devices are called rom dumpers, as they... dump the read-only memory (rom) of carts into binary files. Some are more sophisticated than others (and generally pricier), but there are various models with various levels of functionality/complexity out there. Note that you may have to read some tutorials on how to do this depending on the model. I'm not going to post links here or name specific devices for obvious reasons, but google is your friend here, my friend. If your country allows its people to create backup copies of the software they own (verify this first), then nothing's preventing you from buying equipment for this purpose. As long as you keep the resulting files to yourself only and never share them (that is illegal wherever you are on the globe, unless you have the licence to do so - and you don't - ). Does anyone know where we can purchase this from? 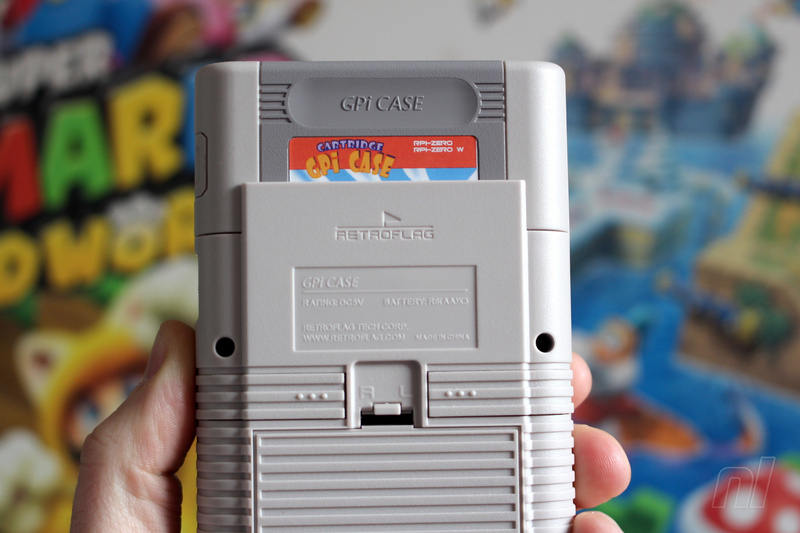 If anyone is wondering what a device like this is capable of emulating, then here's what I know from first-hand experience with a Raspberry Pi Zero W.
Full speed emulation of SNES games that employed the SA1, Super FX GSU-1, or Super FX GSU-2 enhancement chips is out of the question alongside possibly any other enhancement chip games on the SNES. You could also probably run a few PlayStation games at full speed, but don't expect the number of games that run well to be more than the lower double digits if not single digits. 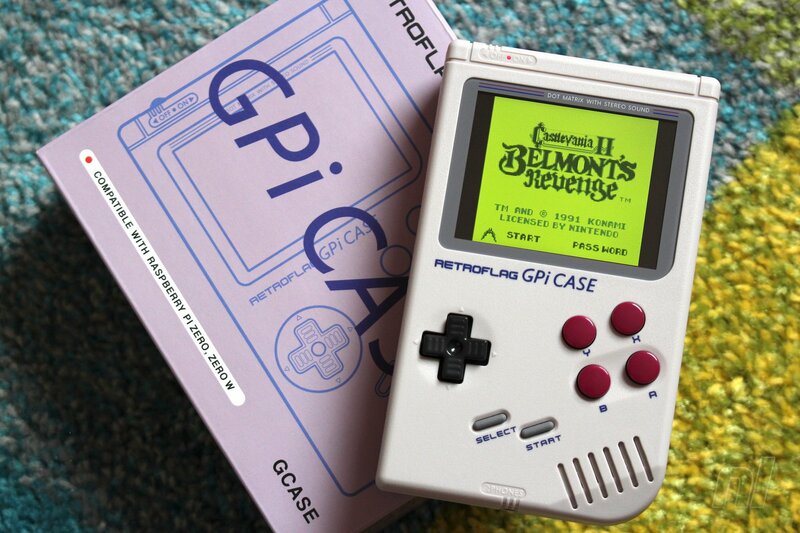 so a case+ pi zero? You can buy them all from RetroFlag together? Or you need to buy them separately? @DragonWon You'll have to buy the case and RPi0 separately. Might also want to consider some rechargeable AA batteries. By the way, price for the case is going to be $69.99 according to some sources. 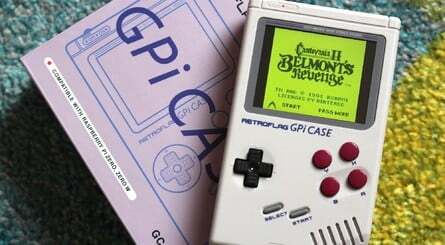 No release date yet beyond rumors it will be 2019-04-21 to coincide with the Game Boy's 30th anniversary, but I don't put much stock in such rumors. 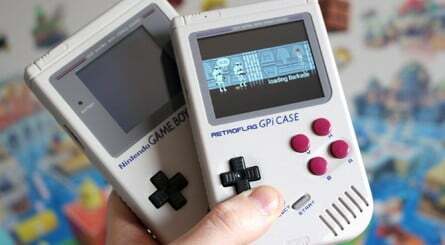 @MajorDangerNine $69.99 for such a case without the Resbarry pi zero? Also, I should buy one unit Micro SD card? Besides that, I should install the system into the Micro SD card? Seems like a LEGO tool that I need to put my hands on with a few hours. @DragonWon Yes, $69.99 for just the case/kit. $10 is how much a RPi0W would cost (look around as not everywhere is marking them up to over twice their MSRP), and I would advise a RPi0W as doing anything with a RPi0 would be a pain for the $5 difference. Yeah, you would also need to buy a micro SD card to put a distro such as RetroPie on, though I wouldn't be surprised if they also support Recalbox. I wouldn't invest too much money into a micro SD card too big due to the possibility of sudden power loss killing the micro SD card, though I also wouldn't get anything smaller than a 32GB, while a 64GB would be ideal for most people: anything bigger depends on how many of your Sega CD/Mega CD and TurboGrafx-CD/PC Engine CD you want on there versus the risk of sudden power loss killing the card. You'll also want the micro SD card to be, at minimum, rated Class 10/UHS-1: UHS-3 is excessive for a Raspberry Pi as UHS-1 generally maxes out on the Raspberry Pi.